A friend organized a paintball game last Saturday at Red Dynasty. This would be my first time. It was pretty fun. And I love how it was drizzling, adds on to the mood. Someone shot me from the side. First shot slid off my chest but left a bruise. The next 2 shots hit my side and hell they hurt. I thought we would be provided with vests but they didn’t. 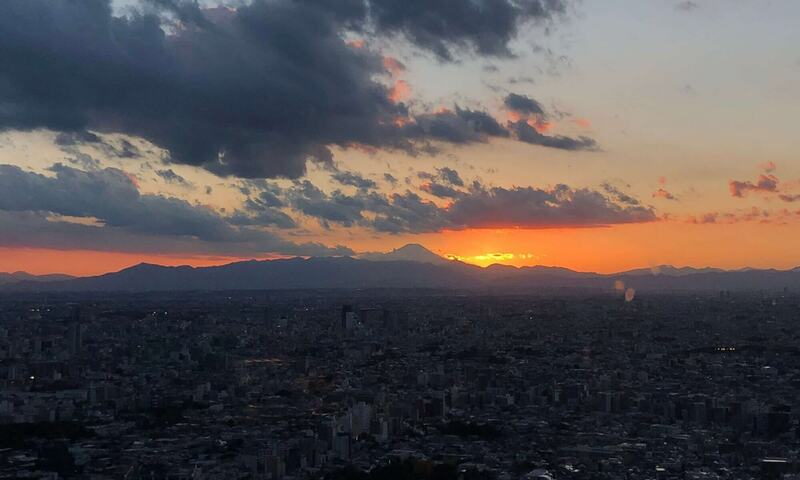 I regret wearing just a thin T-shirt. I was so sure I was in a safe place before I felt the pain. Yea, they should call this painball. We had 12 so we were split into 3 teams of 4, each team gets to play twice. Each round didn’t last very long. The objective is to bring 2 pieces of items back to base while dodging the other team’s bullets and preventing them from doing the same. I think my bullets got stuck a few times. Like out of 10 shots, I could only see 2 coming out. There was one occasion I saw a bullet flying towards me and I managed to duck in time. If there ever was going to be a next time, I’m definitely going to wear thicker clothing. After that all of us went to this friend’s home for a early Christmas party. 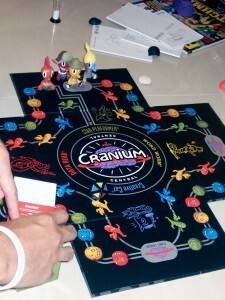 We played Cranium, good party game. Some of the activities involved having to sculpt something out of dough to get your friends to guess what it is. I did most of the sculpting and drawing for my team. Some of the things I sculpted, and managed to get my team to guess correctly was: rocking horse, solar system. There was once I had to sculpt out “holy cow”, so I made a weird looking animal, and held a halo over it, hahaha. My team couldn’t guess but a rival team member got it. For sketching, some of the cards require you to sketch blindly. 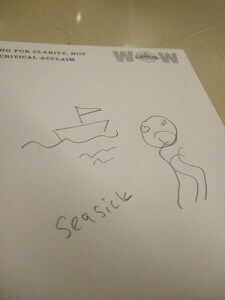 I got a card that says “seasick”, so I quickly drew a boat and a simple face with wavy lines coming out of it’s mouth. My teammates got this pretty quickly. The only hard category was the one which require you to act out characters and hum out songs. As this game was initially designed for the US market, a lot of the characters and songs have never been heard of by many of us. Later that night, I opened a small bottle of Otard cognac that someone brought. Drank like half of the bottle without mixing. I wanted to get drunk as quickly as possible. I did end up comfortably drunk and it was all good.